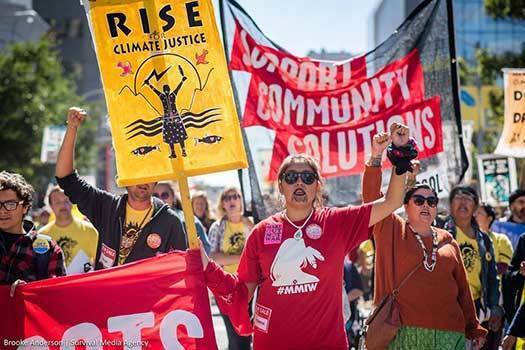 The Climate Justice Alliance (CJA), unites 68 organizations rooted in indigenous, African American, Latin-x, Asian Pacific Islander, and poor white communities on the frontlines of the climate crisis under Just Transition strategies. This GND must be innovative, bold, audacious and still be just—for example, creating meaningful, family and community supporting work for the 6.4 million workers currently employed in the energy sector, alongside workers in related fields such as construction and housing, food and farming, waste management, transportation, water and ecosystem stewardship. (2) Simultaneously, this transition must be just for communities that live on the frontlines of extractive and toxic, polluting industries, and who have been putting forth local solutions that can be scaled for the benefit of a new economy for all.